Some of the biggest innovations in the healthcare industry are being made by small pharmaceutical companies, some with fewer employees than a single department in one of the larger companies. By focusing on niche markets and therapeutic areas, these little companies are making a big impact on patients. From treating illnesses that affect only a handful of the population to focusing entirely on one disease state, these companies are showing how a targeted approach can get results. In addition to including some of the fastest growing traditional pharmaceutical companies, this list also includes several companies – mainly information technology enterprises – engaged in supporting pharmaceutical development and sales. US WorldMeds is a specialty pharmaceutical company based in Louisville, Kentucky. Its marketed products include treatments for malignant hyperthermia, cervical dystonia, and hypomobility in Parkinson's disease. It also makes Lofexidine, a non-narcotic drug for reducing opiate withdrawal symptoms, a growing area of concern as opiates continue to be abused. 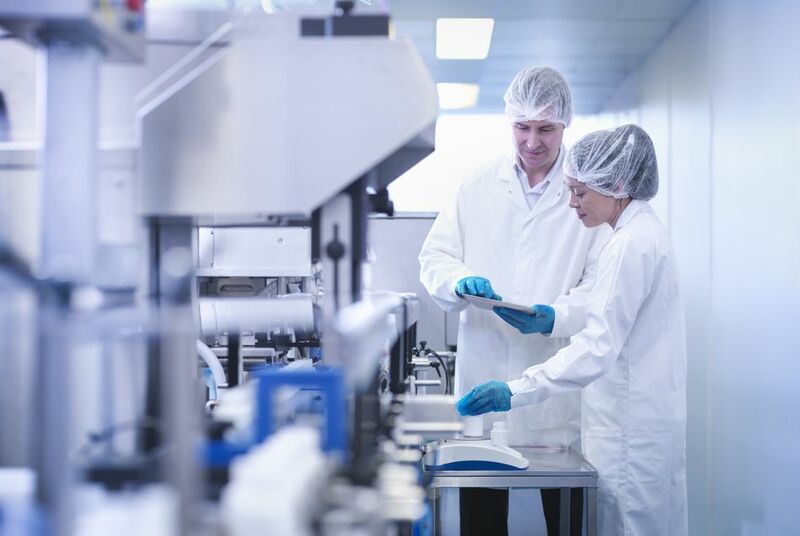 Elorac Inc., a specialty pharmaceutical company based in Vernon Hills, Illinois, develops and markets drug products for the U.S. dermatology and oncology drug markets. It makes Zithranol-RR, a non-steroidal cream used to treat mild to moderate plaque psoriasis, and Virasal used to treat and remove the removal of common and plantar warts. Pacira Pharmaceuticals, Inc., located in New Jersey, is a niche pharmaceutical company developing non-opioid products for managing post-surgical pain. Products include DepoCyt(e) an injectable, sustained-release form of cytarabine for the treatment of lymphomatous meningitis and Exparel, a local analgesic. It also developed DepoFoam, a novel drug delivery method which encapsulates drugs and then releases them over a set time period ranging from 1 to 30 days. Putney, based in Michigan, creates high-quality generic medications for pets. From pain relief medications to antibiotics, they produce drugs used in veterinarians' offices around the country. Its products include Proxetil, used for skin infections in dogs and Carprofen, used to treat canine osteoarthritis and given for some post-surgery pain. The Portland, Maine-based company was acquired by UK-based veterinary pharma company Dechra in 2016. Vets First Choice, located in Portland, Maine, is an online veterinary partner-pharmacy and marketing service provider that provides home delivery of FDA-approved pharmaceuticals, therapeutic diets and compounded medications to pet owners on behalf of veterinary practices. Clinipace Worldwide is a contract research organization (CRO) based in Morrisville, NJ, that conduct trials of experimental drugs for pharmaceutical and biotechnology companies. Integrated Prescription Management in Fresno, California, is a prescription benefit manager. It provides services for employers, third-party administrators, and brokers. Noble Rx Marketing of Orlando, Florida, develops educational marketing materials geared toward patients and healthcare professionals on behalf of biotech and pharmaceutical companies. They create a wide variety of comprehensive materials from disease state information to guides on how to use and administer treatment, used by both physicians and their patients. Greenphire, headquartered in King of Prussia, Pennsylvania, develops and manages proprietary payment technologies for the clinical trial industry. An extremely competitive area, clinical trials are the focal point for many pharmaceutical companies, making Greenphire highly sought after.